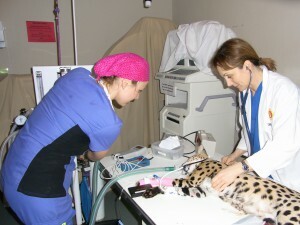 We recently worked on a Serval Cat! 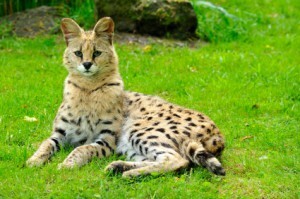 Serval cats are medium size cats from Africa. The cheetah is thought to descend from them. Like so many other animals in the wild, their numbers have dwindled. Their population has been in decline largerly due to human population encroaching on their habitats or being hunted for their beautiful pelts. Servals can also be preyed upon by other large cats.Their introduction as pets in North America is recent but the ancient Egyptians worshipped the serval as gods, and kept them as pets. Servals are known to develop an intense emotional bond with their original owners and this lovely girl was no different. We could not have approached her easily on our own (servals have unusual long legs and proportionally small heads but she showed us her teeth were definitely full size!) without stressing her and possibly causing her harm, but she was completely trusting of her owner and calm in her presence. I called in Dr Craig Mosley, our anesthesiologist, who has worked with with large cats in the past (as well as lions and tigers and bears, oh my!). He devised a sedation plan that would have her stay in her owner’s arm while we gave her an injection to minimize her stress and that we would work quickly once she was sedated to anesthetize her, that Dr Francis would do the surgery to fix the fractures in her hind legs and have her stay in the hospital only until she was awake enough to know that she has safely recovered from the long anesthesia which would be required. It made me think back to the various unusual animals we have treated over the years. We usually restrict our practice to small animals, predominantly cats and dogs with the very occasional ferret or rodent but, given the expertise of the various specialists we have treated a wolverine, help participate in the care of several aquatic mammals, treated a bear with neck pain to name a few. There are fairly strict regulations in place for owning exotic pets (http://www.env.gov.bc.ca/fw/wildlifeactreview/cas) and while it is likely due to the danger that these animals can pause to humans as well as to reduce illegal importation, it should also be because their habitat and diet are so difficult to emulate to ensure the best environment for these different breeds and species. While many exotics pets are not banned, it is at times very difficult to find accurate information as to the type and quality of the diets these animals require, the quantity of food to feed them (wild animals are lean!) and the type of exercise that may most benefit them in their new home. 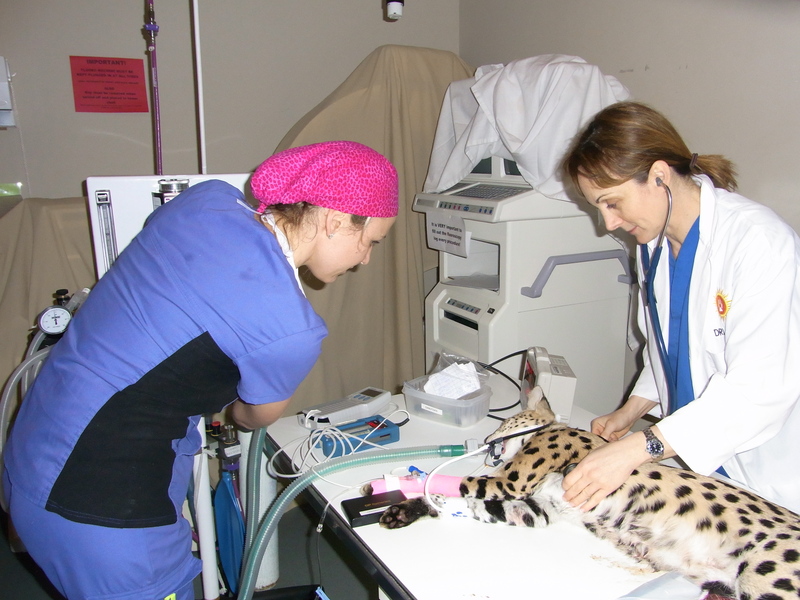 Some private practice veterinarians who have extensive experience with exotics and zoo medicine veterinarians are good resources for family veterinarians who help care for these special pets.